Ileus due to torsion (volvulus) of ileum. 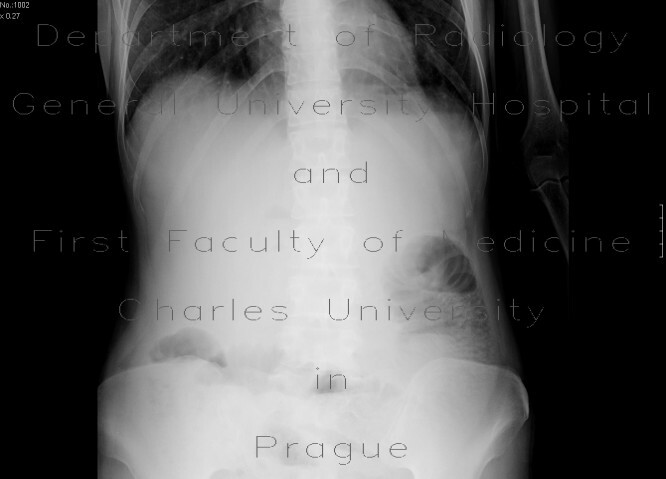 Nearly all small bowel loops are filled with fluid and air-fluid levels. Whirl-shaped configuration of loops of aboral ileum, with aboral part containing feces.